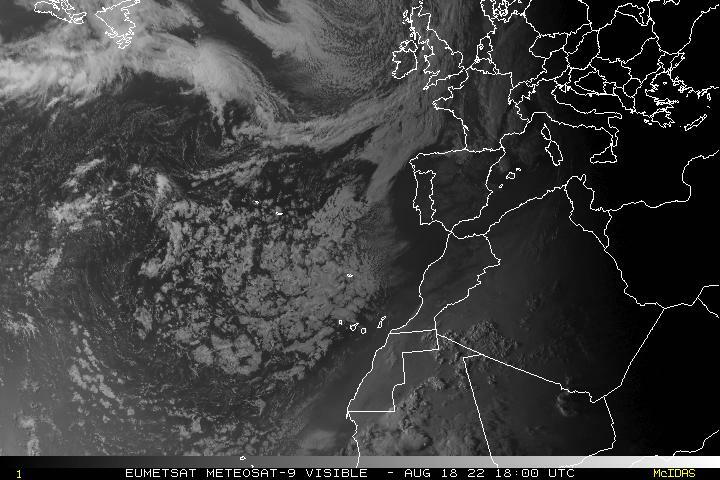 It appears than an area of deep convection has developed over the Mediterannean sea. Link to Imageshacked image for archiving purposes. Compare it to the remnants of TD-15 in the west. It's probably nothing, but, ehh, worth discussing, right? Well, the image is several hours old, so... keep that in mind. Oh, yeah I know that very well. Like I said, it's probably nothing. But hey, looks kinda cool. Re: Convection in the... Mediterranean? Who would name this if necessary? Or would it be 50L? Nothing organized, just an explosion of convection. By the way, to the west of the blob of convection there's an ULL. I was watching something over SE Italy last week. Mediterranean Sea is connected to the Atlantic at Strait of Gibraltar, so it would be the Atlantic. 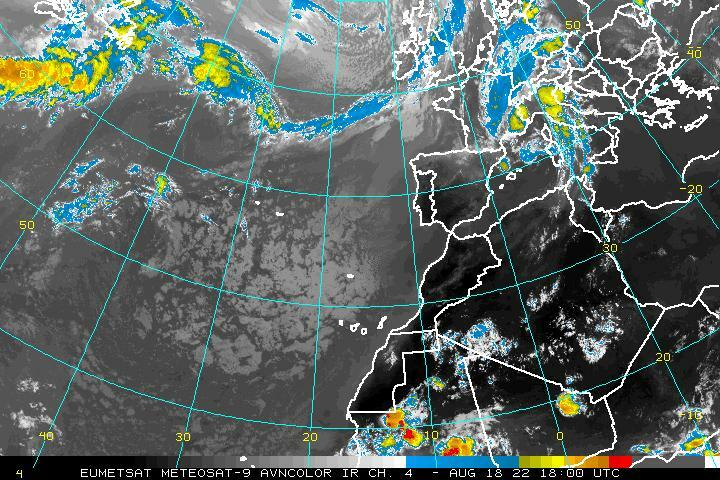 It is interesting to see tropical systems develop in the Mediterranean. They are small and they have to contend with dry air, especially from North Africa. There must be some agreement with Meteo-France to warn on systems east of 35W. Now what would happen if it got even further east into the Med I don't know as that area is covered by Greece and not France. Just realised that what I said made little sense. What I meant was would it be named at all, or would it be called 50L? the title of this topic epitomizes this season --- the fact we are looking at the Mediterranean underscores just how slow things have been for watchers in the U.S.
gatorcane wrote: the title of this topic epitomizes this season --- the fact we are looking at the Mediterranean underscores just how slow things have been for watchers in the U.S.
Actually, if the same storm were in the Atlantic, it wouldn't even be mentioned here. It's an extremely rare area for TC development, so if a system that ordinarily would be ignored in the Atlantic formed over the Mediterranean, it causes more intrigue. On the contrary, when people HAVE to look at the mediterranean for development, that just uderscores how truly bizzare and interesting a season has been. I wonder if the Meteorological Institute in Berlin would assign it one of the names they assign to lows. Cyclone1 wrote: Actually, if the same storm were in the Atlantic, it wouldn't even be mentioned here. It's an extremely rare area for TC development, so if a system that ordinarily would be ignored in the Atlantic formed over the Mediterranean, it causes more intrigue. It's not an extremely rare event. Nearly every year there are one or two systems that develop into a tropical or subtropical system. Most of these systems track unnoticed over the Med. I'm thinking that the low forming near 34 north/12.5 east has a good shot at becoming something. We will have to see. HurricaneBill wrote: I wonder if the Meteorological Institute in Berlin would assign it one of the names they assign to lows. If it affected central Europe yes but then they name all lows that do. Convection still there, north of Lybia.